The City of Goodlettsville’s use of Vendor Registry has generated an increase in the number of bids we would typically receive when advertising for bids or proposals. This coupled with a reduction in costs associated with advertising our bids, has saved the City a significant amount of money. We have included the posting of bids on Vendor Registry as a step in our bid advertisement process. It really has helped streamline our process and made our Purchasing Department more efficient. 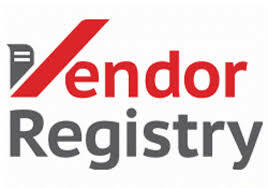 We are so pleased to be working with Vendor Registry. I have worked with Vendor Registry for approximately four years. Their team has worked diligently to improve their product offering in that time. Vendor Registry listens to their clients, implementing ideas and suggestions making their product a great fit for our entities. I have used their contract management module at two separate entities, each time moving contract management from an existing program to Vendor Registry’s Contract Management Module. VR’s team worked to make the process much easier to manage by assisting in the initial setup. The solicitation module allows entities to reach more suppliers, thus reducing spend and saving taxpayer dollars. In short, you need Vendor Registry! Vendor Registry enables our County to more effectively manage our vendors and most importantly, validate that the vendor still exists on an annual basis. This will enable me, in time, to clean up my financial database and keep it up-to-date so that I can operate more efficiently. They listen to end-users and have implemented improvements suggested by users so that the service provided is best for the customer and not just what is easy for them to program. I highly recommend Vendor Registry. I have worked with Vendor Registry since they were first getting started good- probably about four year. Having worked in a similar situation for many years in my previous professional life, I have been very impressed with the business model of this company. Since the beginning, they have continually improved their product with baseline options as well as premium options. They encourage feedback from the government agencies they serve; they listen to the agencies and they act upon it. If an issue is found, they are quick to research and fix the issue. Their customer service is available to help not only us, their customer, but our vendors as well. That means a lot. With the software company I worked with in my previous profession, it was always said that that you could easily find software to fit your needs but it is the people behind the software that makes all the difference. That is so true and that is why I chose Vendor Registry.. I have been using Vendor Registry for several years. The product does what I need it to do without being bloated with useless features and graphics. I use it to issue and track RFPs/ITBs; Manage Vendors; Manage Contracts. I wear several hats at work. Without this product and the excellent support they provide, I would not be able to be successful in my job. Highly recommended.